‘Tis the season of anniversaries here at FMP HQ. 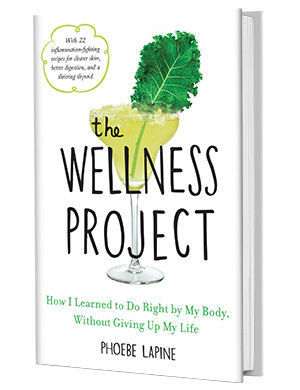 Last week we celebrated the one year birthday of The Wellness Project, and a few weeks before that, our six year blogoversary here. One anniversary that doesn’t get as much airtime, but also happened this time of year—in early May 2011–is the day I gave up gluten. Over the last seven years, I’ve oscillated from an open relationship with gluten—occasionally getting frisky with a pie of thin-crust pizza—to a strict, celiac-style breakup and have learned so much in the kitchen and about myself in the process. 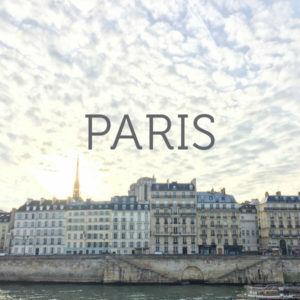 Now that I’ve made cooking gluten-free a central part of my work as a culinary instructor and chef, I wanted to put together all the information and resources I wished I’d had when I first took the plunge. It’s certainly a very different landscape for dietary restrictions than it was seven years ago. But that’s not to say that going gluten-free is without its challenges. 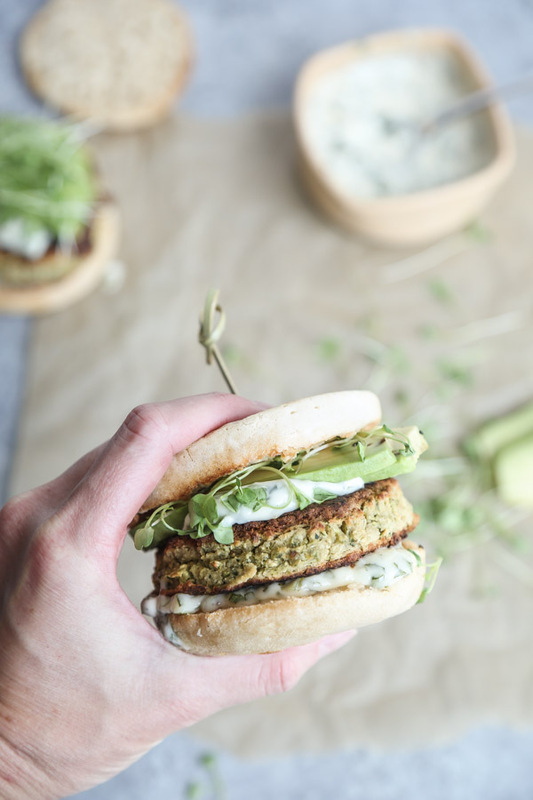 You can read my full dispatch on gluten-free living on Mind Body Green here. But I also wanted to revisit this long forgotten post about the best gluten-free sauces to have in your arsenal. The biggest learning curve when I first went gluten-free was trying to navigate all the condiments that were now a landmine for wheat additives. The basic béchamels of the world were easy to spot when compared with a pulled pork taco that might have ½ a cup of non-gluten-free barbecue sauce thrown in there. Over the years I’ve gotten a lot better at asking questions at restaurants and reading the ingredient labels at stores before buying products. But more importantly, I’ve started making a lot of these gluten-free sauces at home. 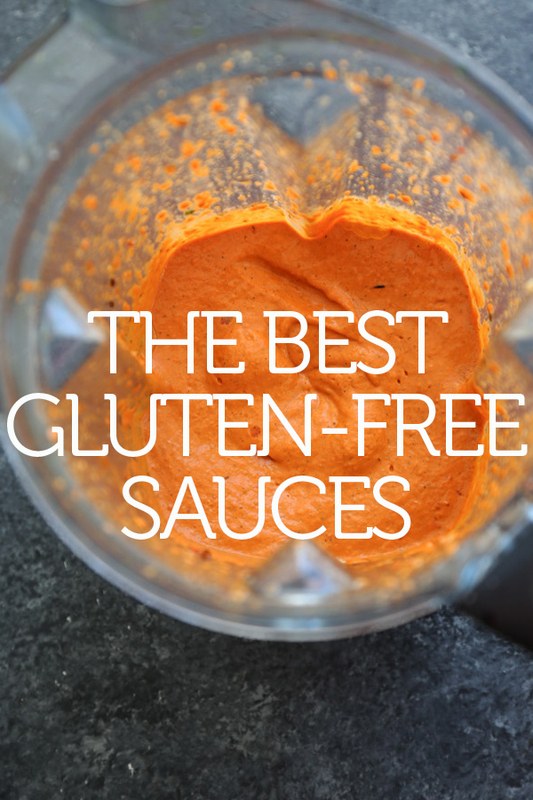 I’ve put together some of my favorite easy gluten-free condiment recipes and also the best store bought gluten-free sauce brands to buy if you’re looking to cut some corners this grilling season. More so than ever, once Memorial Day hits, you may be at the mercy of your BBQ host. So it helps to have a basic knowledge of which brands are safe and also the sauces to watch out for if they’re not homemade. This list also serves as an easy way to search some of your favorite gluten-free dressings, pasta sauces, and marinades from the archives! Unlike béchamel, this mother sauce is usually made from an emulsion of butter and egg–no flour necessary. But if you are sensitive to dairy, you are better off trying this version which uses ghee and anti-inflammatory turmeric. 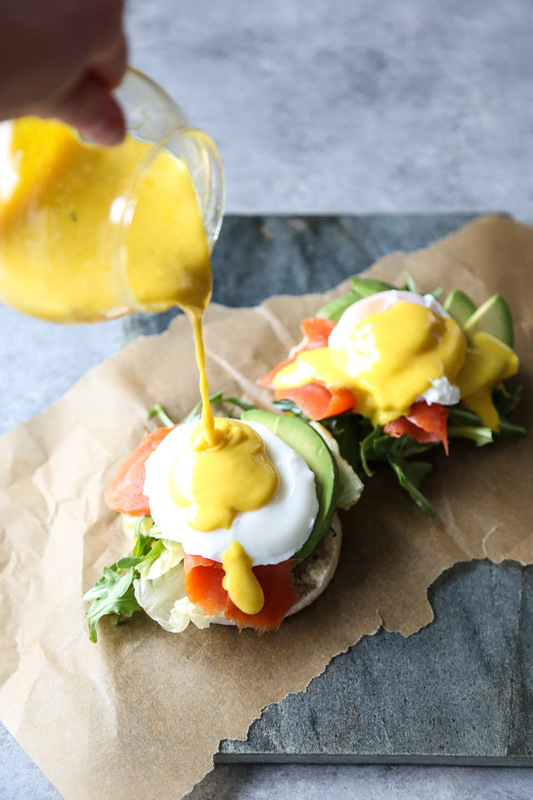 It’s also served over paleo eggs benedict! This Korean condiment is usually made with wheat. However using this GF store bought base, I’ve created a super flavorful marinade for chicken and other meats. My friend Tom made the distinction between primary condiments, like ketchup, mayo, and mustard, and secondary condiments like barbecue sauce, which usually contain a whole host of other premade sauces in the ingredient list. The problem with secondary condiments is there are a lot of potential sources of gluten to keep track of. 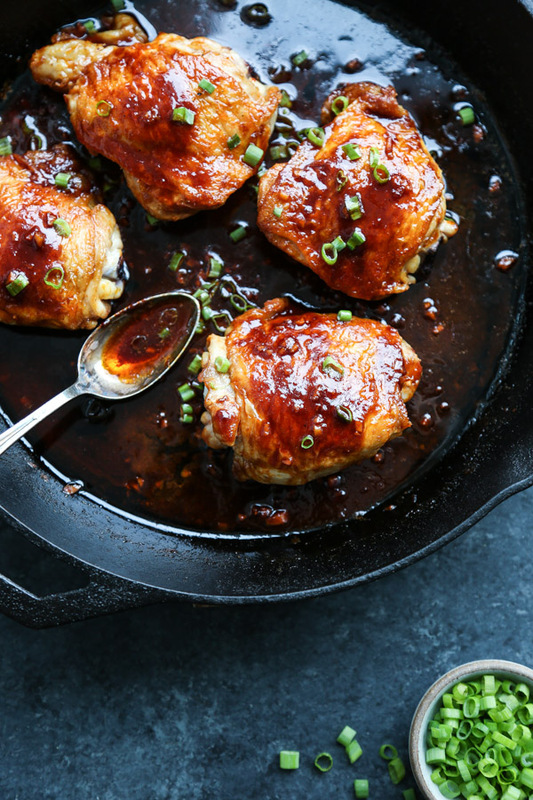 Soy sauce is one of the items that can give dark BBQ sauces their color and umami flavor. And a lot of store bought brands, including Sweet Baby Rays and KC Masterpiece, use wheat to thicken their product. This is a great list of gluten-free BBQ sauces, including my personal favorites Stubbs Original and Annie’s Organic. But the best way to prepare healthy barbecue sauce is to do so yourself! This recipe for Chipotle-Honey Gluten-Free Barbecue Sauce is allergy-friendly and made with honey. I used to have a crazy obsession with sushi restaurant salad dressing. I’d practically lick the bowl and/or use the remaining sauce to dip my sushi in. But unfortunately, like most dishes at Japanese restaurants, a lot of these dressings contain soy sauce. 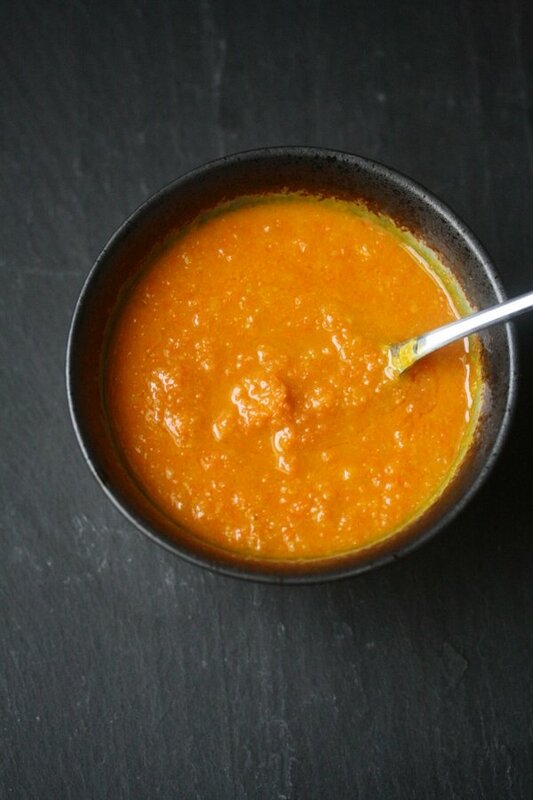 Luckily, that amazing orange carrot-ginger dressing is very easy to make at home with the substitution of gluten-free Tamari for the soy sauce. My favorite brands are San-J or Eden Organic. For a more traditional, slightly milder and less concentrated version, Kikkoman is now making gluten-free soy sauce too. Finally, La Choy soy sauce is all gluten-free! 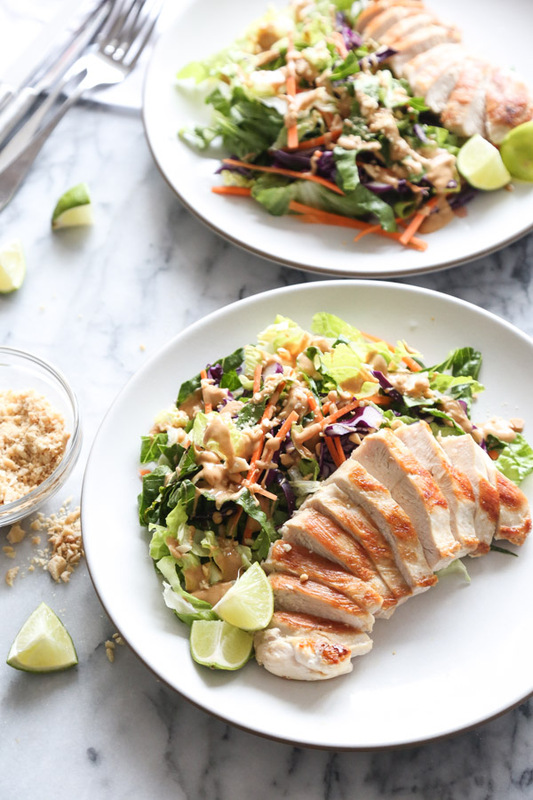 I love this riff on my ginger dressing that uses kimchi for a little kick! 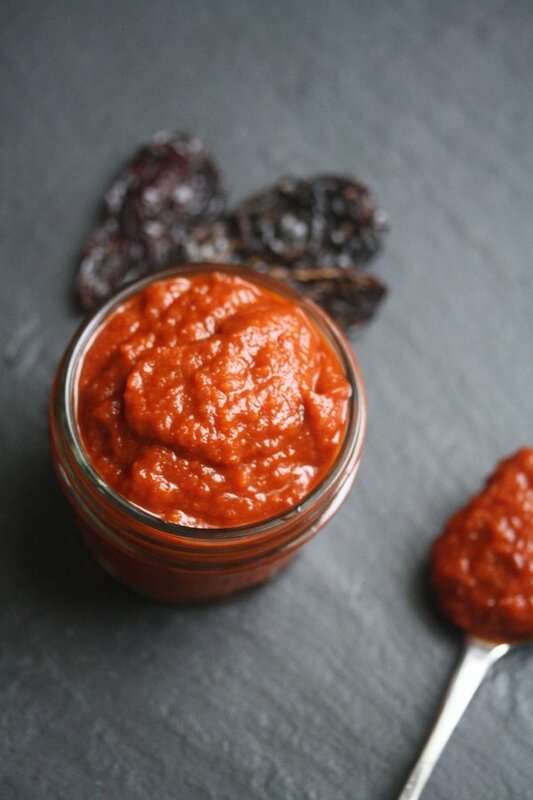 Romesco is a delicious Spanish condiment made from ground almonds and roasted red peppers. It’s delicious alongside grilled meats and seafood. Unfortunately though, if you see romesco on the menu at a restaurant, you need to double check that the sauce isn’t made with stale bread to thicken it. My version that I make all the time at home couldn’t be easier. It relies just on the nuts and olive oil to get that thick creamy texture. 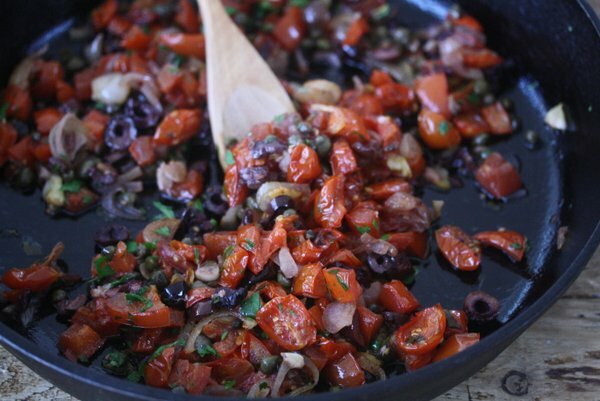 Here’s another version that includes sundried tomatoes and is also low FODMAP! Tomato sauce is naturally gluten-free and most generic brands like Rago and Prego are deemed as such. But my favorite brand of gluten-free spaghetti sauce in a jar is Rao’s Homemade Marinara or Arrabiata Sauce. But if you’re looking for something more complex than just basic pureed diced tomatoes with herbs, it’s best to make your own at home. Homemade puttanesca sauce is so easy, and this recipe will blow any store bought brand, gluten-free or not, out of the pasta water. 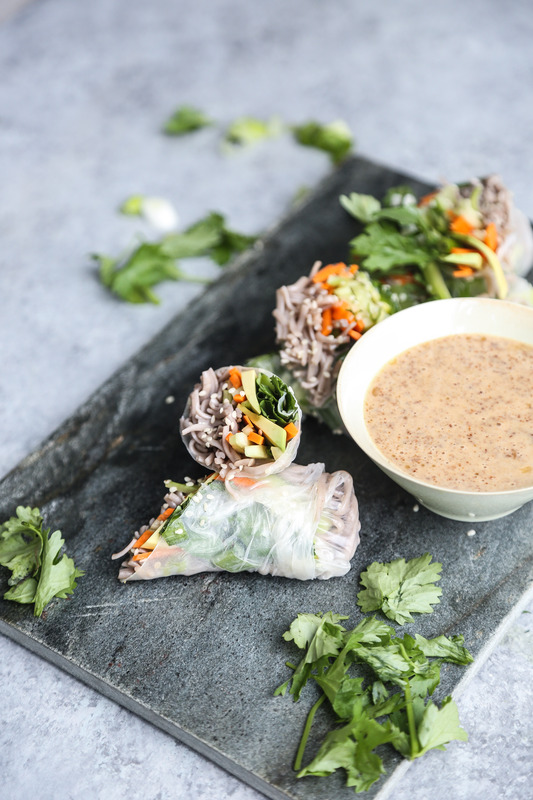 Like carrot ginger dressing, you have to be careful of the soy in peanut sauce and most store bought brands are not currently making their versions gluten-free. 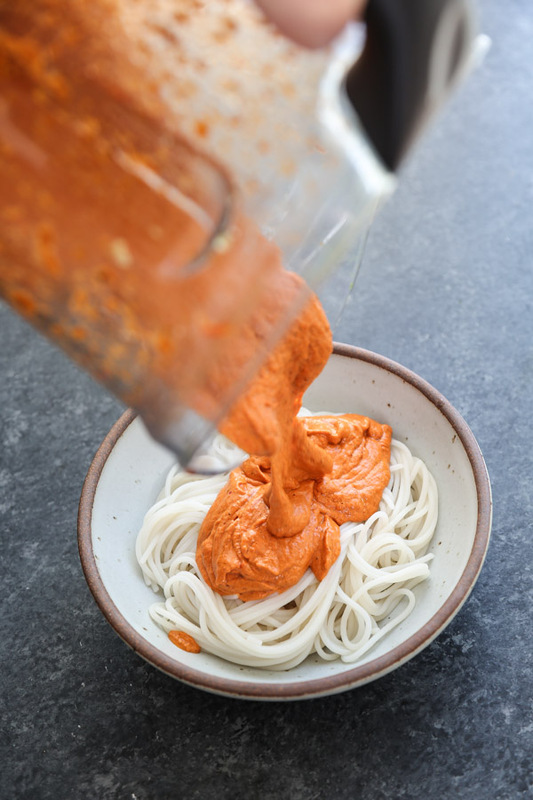 It takes quite a few condiments, but making homemade gluten-free peanut sauce is incredibly easy and it keeps in the fridge for a few weeks. 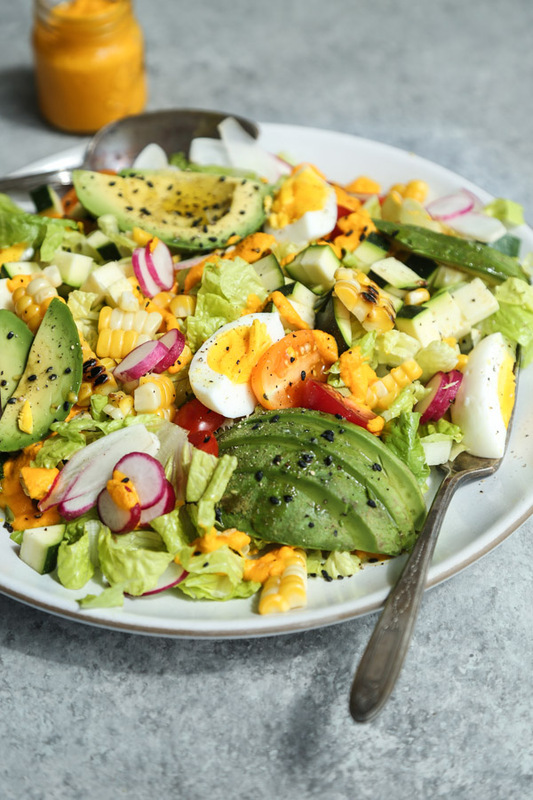 Here is another variation that’s a great dressing for salads! Similar to the above, but made with almonds for those who are allergic to peanuts in addition to wheat! Kikkoman is now also making gluten-free teriyaki sauce. But if you already have gluten-free tamari on hand, this sauce is easy to whip up on your own. I like to make my homemade version a little healthier by using maple syrup instead of refined white sugar. It’s a great marinade for pork or chicken, and a nice gluten-free sauce to have on hand to drizzle on your rice. Most popular mayonnaise brands like Hellmann’s, Kraft, and Heinz are all gluten-free. My favorite mayo brands are Sir Kensington‘s or Spectrum Organic, which I like jazzing up at home with different flavorings. This sriracha mayonnaise is one of my new favorites for using on toasted gluten-free bread with turkey. Also be sure to check out this other compound spin on mayonnaise with lots of briney flavors like olives and capers. My favorite Mayo is Spectrum too! Though lately I’ve been loving the Whole Foods in-house brand. I’ll try the sriracha. Just tried your Gluten free carrot ginger dressing with little soya’s soy Sauce and omg!! To die for! Definitely my new favorite dressing. Thanks so much for the recipe! Re: mayo and other condiments, be aware that the “gluten free” label does NOT mean 100% free of gluten. Current labelling standards allow small amounts of gluten. If ingredints include distilled vinegar or white vinegar (as with Hellmans, Kraft, etc.) sensitive individuals will have problems. My husband gets quite ill from these supposedly “gluten free” condiments. We have learned to mistrust the labels and look for cider vinegar in the ingredients – this is the only safe option we’ve been able to find. For mayo we usually use Spectrum Canola, but check ingredients every time – now that labelling standards have changed, many previously safe products have been switching from cider vinegar to cheaper distilled o white grain-based vinegars. Thanks Nik! I also use Spectrum Canola, so that’s really good to know. I also think it just has the best flavor of any mayo around. But I didn’t know that white vinegar was an issue. 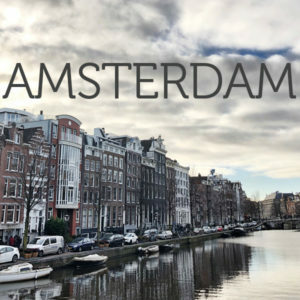 Will keep on my radar. Hi! Do you have a recommendation for a gluten free Worcestershire sauce? Lee & Perrins says theirs is but I’ve always felt really sick and contaminated after. unfort I don’t. apparently L&P is in the US, but uses malt vinegar in other countries. Not sure where you’re based. I will be on the lookout!